I like being a curator of technological history. That'll work just fine, indeed. I just have anxiety because I don't have enough yet. Inactive for many years. Was given a Tek 2465 DMS in need of some TLC. That convinced me to get equipment out of storage for years to facilitate repair. Needed help, found Yahoo Tek group....someone mentioned this site in passing. That started the slippery slope. I'm back into it feet first, and proud of it. Sorry, but "the look" mentioned here ain't that. My better half (which I say with reverence, respect, and admiration) is an African-American Lady. 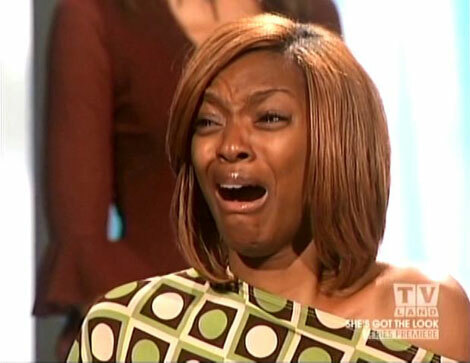 As a group African-American women are absolute experts at showing their feelings thru facial expressions. If you get this "look" be prepared for sharp tongue to follow. I've gotten "the look" once or twice (Aw hell, several times ) The only thing you can do is quickly retreat and repent. there are other possible THE LOOKs. I bid on ebay for a power supply and a bench multimeter from a bankrupcy sale and won. this was my first overseas auction, but the price was SO GOOD. A true bargain. As soon as i got the confirmation email i though that i should also get a voltage reference to see if the multimeter was calibrated or not. Yup. Stick a fork in yourself, you're done... Welcome to the fold! Come on in - we have cookies! Yes, you're official. Just wait until you get one that's broken...and fix it. Then, you're doomed. LOL. Then while you are looking at a 'parts unit' on eBay you see a great bargain of one working unit along with a parts. unit as well, thats how I ended up with 4 Tek 453 oscilloscopes! Doomed I am , doomed! I have been searching ebay for a suitable piece of triax cable to make a test lead, for my soon to be arriving Keithley 616. My consultant metrologist says this is a probable sign of stage 3 GAS. He is recommending a course of Arduino therapy. I've recently got (not purchased) my fourth working weston standard cell. They aren't large, but already I'm looking to thin the herd to make way for possible purchases of zener-based references. I've also recently got (not purchased) a Tek 464 storage scope, which I've got working. That means I'll have to get rid of both my working 465s as well as a working 2445B and a working 475+DM44. If I can manage to achieve that, I'll only have a 485, hp1740, 2465, 464, and Analog Discovery. I suspect the best way of controlling my urges is to remember that my daughter has promised to simply bin the lot when I die. There is also the fun story of buying a used server rack only to discover later how damn big and heavy these things are. I'm quite proud of myself. I recently went to pick up another 465, and I turned down a rack of Tek scopes because I don't have the space. I'm beginning to regret not picking up a couple of his CRTs, though. There's one area that hasn't been touched on yet: the accessories. Obviously that can includes scope probes, but it can also be stretched to the test equipment you need when repairing your test equipment. And we all know that decent probes cost at least as much as the scope itself. Simple probes are the run-of-the-mill *1/*10 "high" impedance probes, but then you need a set of decent probes for the 350MHz scopes - that means both conventional *10 and also 1.5GHz "low" impedance *10 probes. And just as fleas have parasites, you also have to get the accessories for the probes. Mustn't forget the meters for measuring the HV you find in faulty scopes (2.5kV and 40kV FSD in my case), nor the scope probe for seeing whether the DC restorer is working properly (12kV). Actually there is a cure - international relocation. I've learned that optimizes equipment list in real efficient and fast way. Checking out international freight cost per kg helps too! Great advice regarding the relication technique but posting that picture isnt helping anyone! That's why you quoted it to make sure everybody see it twice, in case one time was not enough? Let's hear how many people went to ebay to check on broken 3458A's, 2002's and 3245A's for 100$ ? I also consider myself a TEA member suffering from GAS. I thought I was the only person that has obsessed over test equipment since the early '80s. Finding EEVblog was a connection with others who feel the same way. I would say misery loves company, but I haven't read a post that sounds like anyone is suffering. My GAS started when I was searching for some metrology gear to start my home lab. I wanted to service/calibrate everything myself with as little test equipment as possible. I studied service manuals and looked at all the recommended test equipment. If the recommended test equipment was common among other gear that was a big plus. 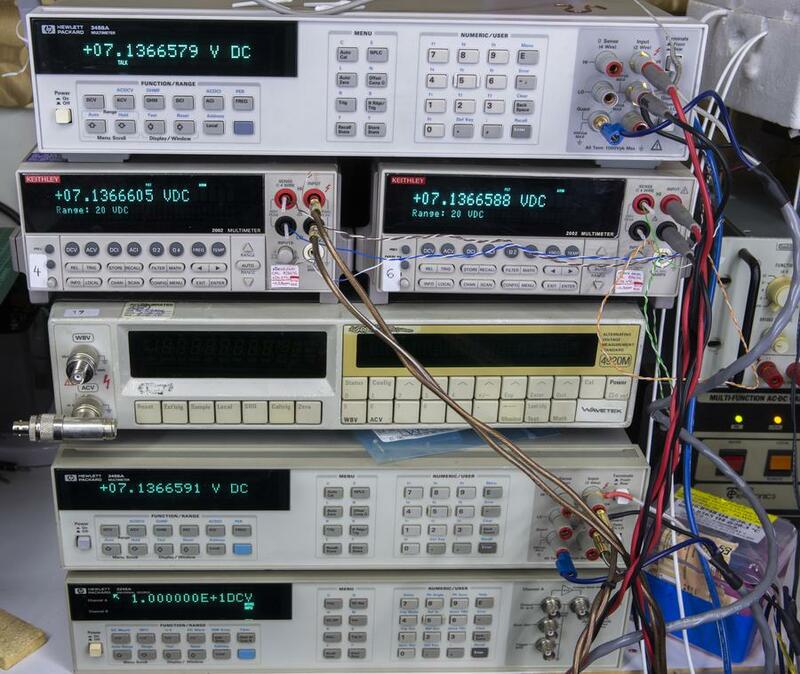 Once I found something, I looked at everything needed to support the recommended test equipment. It came down to buying my Fluke 5440B, Fluke 845AR, and Fluke 732A. Later, I bought a 3458A and a Fluke 742A-10K resistor. It went down hill from there... more references, more calibrators, more meters, etc... A fellow member suggested I should change my nick to CalibratorMafia. Now my home lab is too big to fit in one room and I have a spare bathroom with stacks of stuff, a linen closet full of gear, and a closet or two with more gear. I have preferred rack mounted equipment since my military days. Most of what I have bought is rack mountable but I only had a 13U rack. Within the last year, I have acquired 5 racks (for free) and filled three of them. Two more are sitting in the garage and one is half full. I know, a former workmate is on SPAM (Systematic Preservation of Antique Mainframes). A while ago I had problems with CONE (Collection of Obsolete Network Elements). But luckily I've managed to get sober again by selling everthing to someone dealing with ATLAS (Advanced Test LAb Syndrome).